I am still struggling with words to try and describe Friday's trip to you. Last year, on a 6 hour bus ride form Cuenca to Vilcabamba, Ecuador I tried to describe all the colors of green that I saw along the top of the Andes Mountains. Time to get out the box of crayolas again. Perhaps, a simpler way to put it is a 'day in Oz'. I had no idea what to expect other than the advertised ' tram ride in the rain forest'. Upon arrival we ( 6 other Spanish students and me) were put on a large van. We drove deep, deep, deep anddown, down, down into the floor of the rainforest. Trust me if the van had broken down, I'd still be walking trying to find my way back. At one point I asked if anyone had brought the bread crumbs! We were greeted by 2 young guides and shown a film of how the tram was constructed so as not to environmentally damage the rain forest. And interesting line in the film was that the 30 foot high steel poles needed to string the cable were put in place using Sandinista helicopters. Wonder if Reagan knew that. The tram cars hold six people plus a guide and soar up to 30 feet right into the tree canopy. On this day the sun was shining ( extremely rare, hence the name rain forest). I was eye level with monkey vines, 'broccoli' trees- so called because all their lower branches fall off leaving them looking like, well, broccoli. I was less thatn 2 feet away from a column of ants working their way down 5 meter deep home that they share with 15 million sisters and a few million brothers. Fact: the women do ALL the work. The guys just are used for mating purposed only. Absolutely no comment here. At one point we were stopped for about 20 minutes. Up ahead we could see some workmen trimming branches. There had been a slight accident that morning, we were told. A woman had leaned out of the tram taking pictures and had been hit by a branch. So workers were now trimming that area to prevent further mishaps. It was completely silent. I was surrounded by ferns as tall as a house, palms 2stories tall. and trees over 100 feet. The ants kept working oblivious to my stares. The sun played in and out of the trees tops making some plants on the floor happy. Mostly, I was stunned by the incredible peace. The 2 other women in my tram were silent. The guide was silent. We all realized that what we were experiencing was a gift. At some points along the ride the tram dipped to within 3 feet of the forest floor. Pungent moldy odors overwhelmed me as compost was being made to supply nutrients for the plants and trees that don't often see sunlight. Stringers were hanging from many trees. A way, the guide told me, that the trees absorb more water. Later on the ground during a walk through another part of the forest he picked one of the strigners off and passed it around. It smelled like citronella and is used as an insect repellent. He showed us tree bark that is used for diabetes, other plants that are used now a days in modern medicine. Of course I knew what the rain forest was. I've watched National Geographic specials and the Discovery channel. But nothing prepared me for silence, the smell, the zillion shades of green, and the incredible resource that it is to the world. I'll never think of ' save the rain forest' as just a bumper sticker again. It is resource that the entire world must work to save. 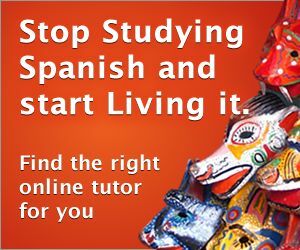 Does Coca tea help to learn Spanish faster?